Greenpeace supporters (like you!) donated thousands of pounds of supplies to keep the movement against the Dakota Access Pipeline strong. 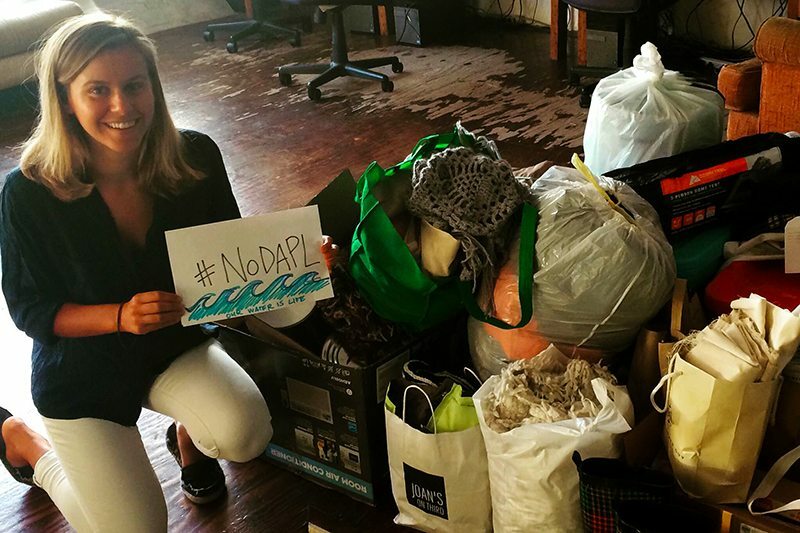 Greenpeace frontline campaigns fellow Cora Karamitsos collects #NoDAPL supplies at a donation drive in Los Angeles. Right now, the eyes of the nation are trained squarely on the Dakota Access Pipeline and the Native-led, peaceful resistance to its construction. If completed, the pipeline would carry nearly 500,000 barrels of fracked oil a day across 50 counties — from the Bakken region of North Dakota to connect with an existing pipeline in Illinois. Land owners, farmers, and Indigenous communities have been fighting the pipeline process from the beginning — recently winning a “pause” on construction from the Obama administration. The next section to be built would run right under the Missouri River, just north of the Standing Rock Sioux Tribe’s reservation, ancestral land, and water source. For months, the Standing Rock Sioux have been protecting their water supply and peacefully resisting pipeline construction at camps near North Dakota’s Lake Oahe. They’ve been joined by allies from the climate movement, celebrities, and other Indigenous groups from all over the country. The camps have grown into some of the largest and most powerful displays of peaceful resistance in the country — and they’re still growing. Demonstrators at a solidarity rally for Dakota Access Pipeline activists in Washington, DC. I, like so many people, had been avidly watching the story of Native protestors standing up for clean water in the face of large corporate interests. I wanted to get involved as much as possible, but I knew that going to North Dakota was not an option for me. I knew that Greenpeace’s Movement Support Hub had been working closely with resistance organizers to provide financial support, activist training, supplies, and help getting the word out online. Still, I wanted a way to be more personally involved. 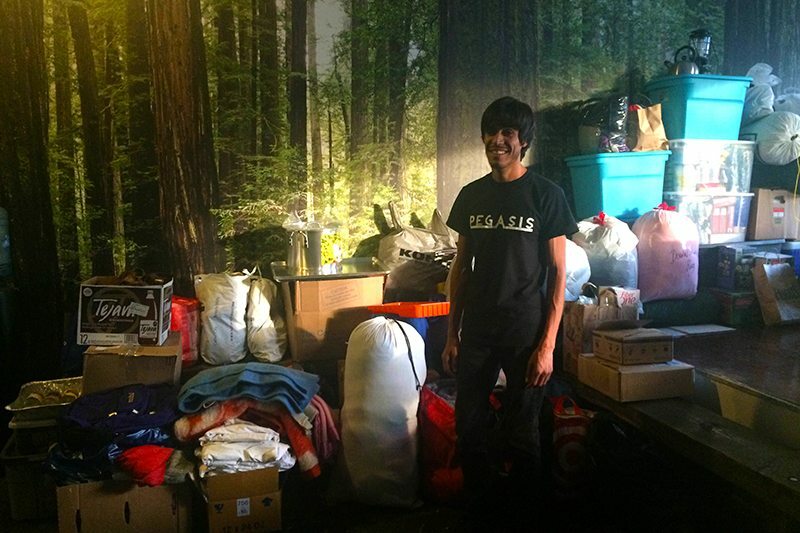 I got the chance when Greenpeace hosted supply drives for the Red Warrior resistance camp in ten cities across the nation. Because the camps are growing so quickly — and resistance organizers are planning to stay through the harsh North Dakota winter — they’re in urgent need of things like winter clothing and blankets, tents, and first aid materials, and they came to Greenpeace for help gathering supplies. I’m based out of Los Angeles, where I helped with the collection, sorting, and packaging of the supplies donated in our area. We knew our Greenpeace community would be excited to give to the #NoDAPL cause, but no one anticipated the outpouring of generosity and donations we received. Greenpeace Los Angeles campaign coordinator Aro with donations collected for #NoDAPL resistance camps. 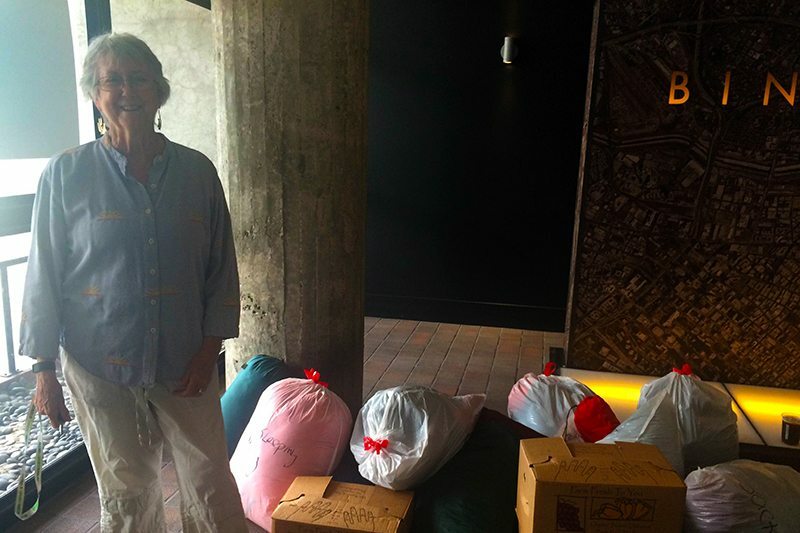 In Los Angeles alone, we received enough supplies to fill nearly our entire office space. In addition to receiving donations of lightly used equipment, many people had gone out to buy new tents, sleeping bags, kitchen supplies, and first aid kits — all to support the water protectors standing in the way of this disastrous pipeline. What was even more amazing than the amount and quality of the donations was the dedication and passion of the people who came to donate. Most of the people I met had been involved in the broader environmental movement for years, if not decades. The Greenpeace Los Angeles office was not the only one to meet incredible people dedicated to supporting the #NoDAPL movement. Our campaign coordinators across the country shared with me how moving the experience was for them. In Portland, for instance, the cost of shipping supplies were covered by an especially dedicated activist, and the driver of the moving truck generously gave us a discount rate because his brother was already in North Dakota supporting the resistance camps. Many of the people who donated had strong ties to indigenous communities. Megan, the campaign coordinator in St. Petersburg, Florida, met a couple named Lynn and Bill, who donated two full boxes of supplies and then invited Megan to a pow wow in January. One woman was especially inspiring for me. When Caroline Brown heard that Greenpeace was collecting donations for #NoDAPL activists, she organized her own personal donation drive in her neighborhood Sierra Madre, just northeast of Los Angeles. She brought an entire car-load of supplies to our office that she had personally collected the previous week. It was so moving to meet someone who was willing to volunteer so much time to help people so far away. Greenpeace supporter and volunteer Caroline Brown ran her own supply drive for #NoDAPL activists. The day following the donation drive, Aro — our Los Angeles campaign coordinator — and I spent four hours moving boxes and getting them shipped off to the camps. In the end, we sent four carloads of supplies to North Dakota. 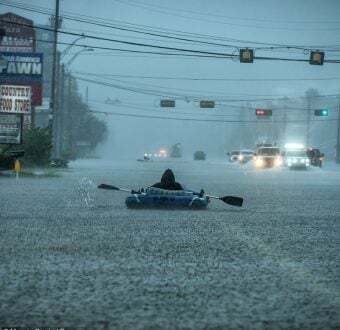 I was incredibly sore the next day, but I felt more connected to the social justice and environmental movement that I had in weeks. It is easy for the global environmental work we do at Greenpeace to feel really far away sometimes, and this drive was a reminder that protecting our natural world isn’t separate from everyday life. We are a part of a large community of everyday people who are constantly taking small actions to stand up for the rights of other humans and living beings — and together we have power. In one of the boxes of supplies we found a beautiful handwritten note of support for the #NoDAPL movement. It struck me then that literally thousands of people across the nation want to stand with the water protectors at Standing Rock. I want the Standing Rock Sioux to know that the people of this nation, even though we aren’t all physically there, are standing with you. It’s not too late to support water protectors at Standing Rock. 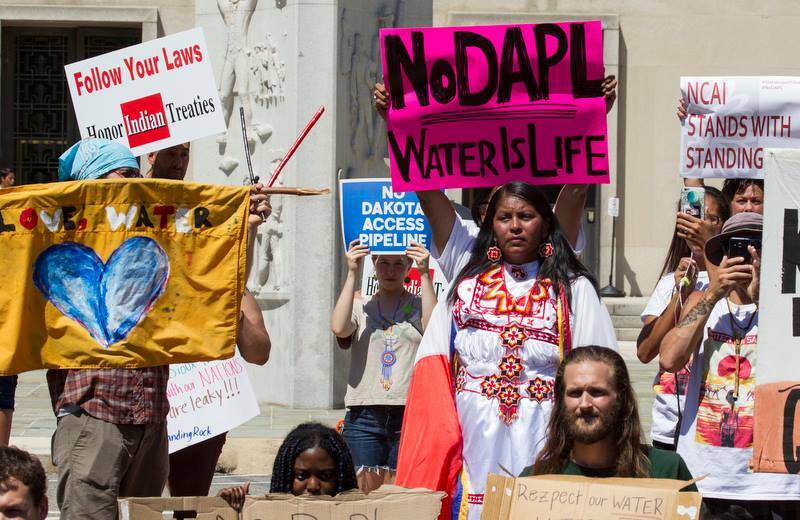 Tell President Obama to STOP the Dakota Access Pipelines today! Cora Karamitsos is a frontline campaigns fellow with Greenpeace USA, based in Los Angeles.